The Livorno range from Vale Bridgecraft is a suite with many combinations of pieces and can be made in huge selection of different fabrics. The design of this model features a split in the back cushion that promotes a lumbar support area and also makes it possible for the back to be of a decent height without the back interiors becoming unsupported. You'll also noticed that there is the option of either a Small Arm or a Large Arm on the chairs and the sofas. The seat and back cushions are all reversable on the sofas and chairs, and all items come on the usual Vale Shepherd casters as well as being made from solid beech and ash frames. You'll also notice the piping around the arms and the cushions, this can be self piped or if you wish contrast piped. This is the Vale Large Arm 2.5 str sofa and is available in a huge choice of different fabrics. The .. This is the Vale Large Arm 3 seater sofa and is available in a huge choice of different fabrics. The.. This is the Vale Large Arm Chair and is available in a huge choice of different fabrics. The seat an.. This is the Vale Gents Large Arm Chair and is available in a huge choice of different fabrics. The s.. This is the Vale Small Arm 2.5 str sofa and is available in a huge choice of different fabrics. The .. This is the Vale Small Arm 3 seater sofa and is available in a huge choice of different fabrics. The.. This is the Vale Small Arm Chair and is available in a huge choice of different fabrics. The seat an.. This is the Vale Gents Small Arm Chair and is available in a huge choice of different fabrics. The s.. This is the Vale Small Manual Recliner with side handle and is available in a huge choice of differe.. 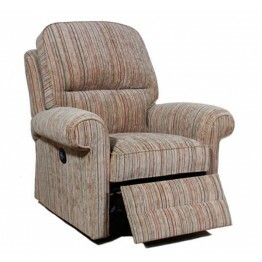 This is the Vale Small Lift & Rise Recliner with handset and is available in a huge choice of di.. This is the Vale Small Power Recliner with side switch and is available in a huge choice of differen..